ESPN.com turns 20 this week, marking some of the top teams, athletes and moments from 1995 to 2015 -- two decades that have seen phenomenal growth in women's sports. We invited some experts to this party and asked them to tell us who the most important female athlete of the past 20 years is. As you'll see, there's definitely a leader in the clubhouse. But on this list you'll also see the huge gains women have made, the milestones that have been reached and the expectations that have been shattered. I remember Richard Williams predicting years ago that Serena Williams would be more dominant than her sister Venus. I laughed, as if I would know someone's daughter better than that parent did. Certainly he meant no disrespect to Venus, but clearly father knew best. The evolution of Serena Williams is one of the greatest sports stories of our time. I rank her competitive drive alongside that of the greatest athletes in history. She has the killer instinct of Michael Jordan and the will of Muhammad Ali. And I'd probably compare the way she has dominated tennis to how Tiger Woods took over golf in his heyday. In other words, if you put Serena in a pool full of sharks, the sharks had better be scared. Serena's accomplishments are vast, but her power and reach turned her from a great athlete to a transcendent one. Best of all, Serena remains wholly unapologetic about who she is. This hasn't always been easy for the media or fans to accept, but along the way, somehow, she has helped us reimagine some archaic gender stereotypes. 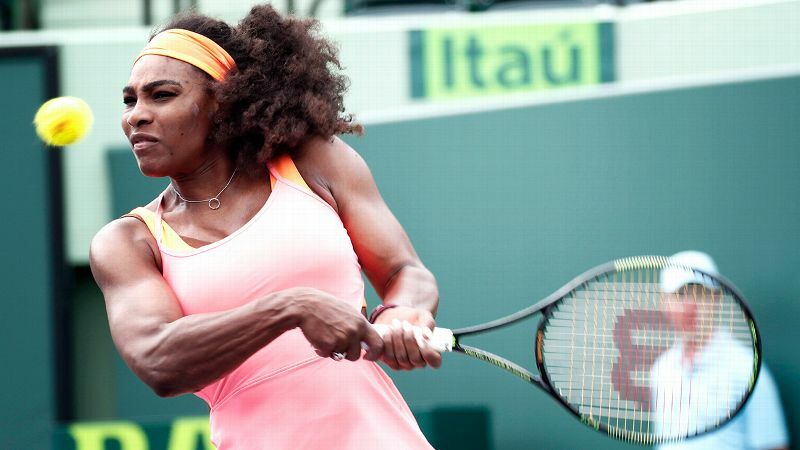 At 33, Serena is better than ever. Lucky us. Serena Williams is quite simply the most dominant female athlete of her generation in the most established professional sport for women. With thousands of young women coming through the ranks each year, Williams' career is going on two decades and still strong. There have been dips, but Williams is at a point where she is cementing her status as a legend in the game. Serena Williams defeated her sister Venus at the 2003 Australian Open. Her dominance also tells the story of the evolution of women's tennis. There is more diversity than ever before among the up-and-coming women, many of whom were inspired by Serena and her sister Venus growing up. Impact on and off the court -- that's how you can tell an all-time great. Serena has had the most influence on women in sports in the past 20 years because she has maintained a level of excellence that can't be rivaled or ignored. I've watched Serena will herself to victory on the biggest stages in her sport, removing the questions about a woman's ability to compete on the highest level and receive equal prize money to her male counterparts. She also has given life to American tennis, which often finds itself begging for more attention and more heroes. Serena gives tennis that attention on so many different platforms. She has a mainstream presence and popularity I've never seen another female athlete achieve. Her dominance, her power, her determination to be the best are undeniable. She has changed the way women play and consume sports. 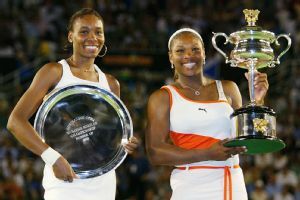 The Williams sisters have dominated women's tennis for so long, I think one could forget what a revelation they were when they first appeared on the scene in the mid-1990s, with the confidence and talent to rule the sport for decades if they could harness it. Since then, they not only have lived up to the hype but have become the most compelling female athletes in the world. I chose Serena over Venus not only because she has won more than her older sister but because she has pushed the envelope more, as well, with a boldness that has made her a true crossover media star. But you really could make a case that both sisters were transformational figures in the history of women's sports. It is hard to separate the Williams sisters. So closely entwined are they in tennis history that rarely has a story appeared in which one of their names has appeared without the other. But as great as Serena has become, as significant as her career has been with 19 Grand Slam titles, it is Venus who deserves to be ranked among the most important females in sports in the past 20 years. 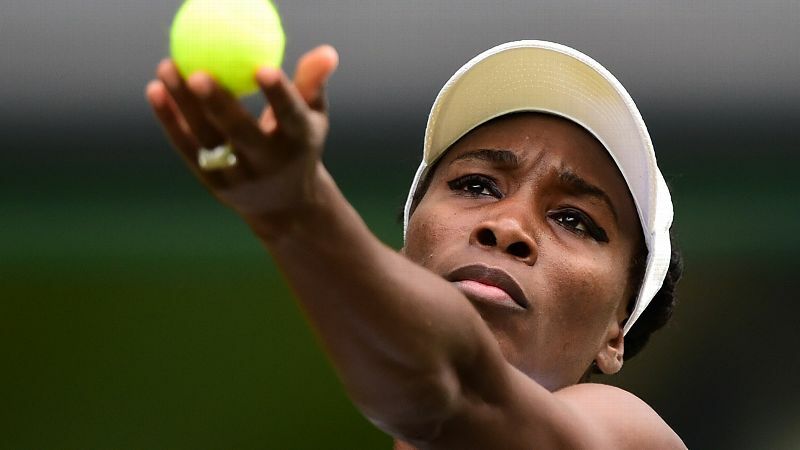 It was just days after her 18th birthday when Venus had the foresight to speak out in favor of equal prize money for men and women in Grand Slam tournaments. But rather than making a few remarks at a news conference and moving on, Williams became a member of the WTA Players' Council and didn't stop telling anyone who would listen of the inequity in the game. She zeroed in on Wimbledon, where she won five of her seven Grand Slam titles and which was one of two major tournaments, along with the French Open, that did not award equal prize money to men and women through every round until 2007. It took the persistence of one of the top players in the game to finally be heard. And it is for those reasons, more than what she did on court, that Venus Williams' legacy will endure. Diana Taurasi is the most exciting basketball player of her generation. Not only has she won everywhere she's been -- and she has played in pro leagues all over the planet -- but she has done so with a kind a flair we rarely see. She has given us moments (who could forget "the kiss"?) as well as steady greatness. The former Connecticut star won three NCAA titles with the Huskies, three WNBA titles with the Phoenix Mercury, three Olympic gold medals with Team USA and a handful of Euroleague titles with teams in Russia and Turkey. The 6-foot guard from California also helped define the WNBA during an important stretch in the league's history, as it tried to find a rhythm after the initial excitement of its launch. 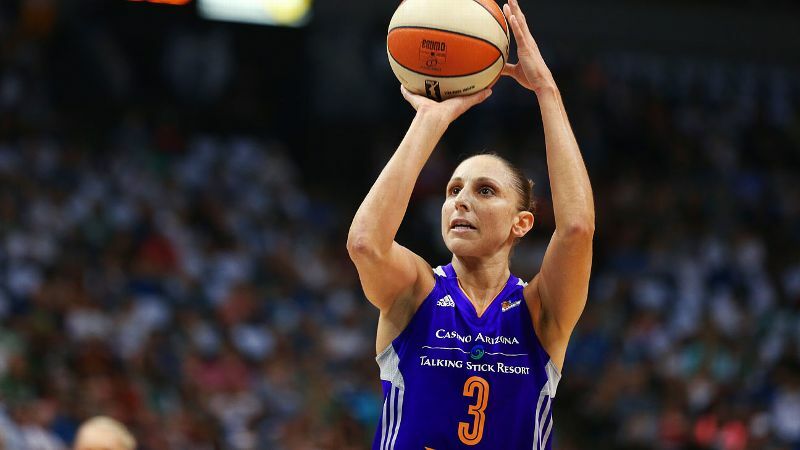 Taurasi was the WNBA's scoring champion five times, an All-Star seven times and an all-WNBA first-team selection nine times. But those are just the nuts and bolts. More important: Taurasi elevated how the game of women's basketball was played. She brought size and style to the guard position, same as Magic Johnson did in the NBA a generation earlier. She is everything we want in an athlete: talented, fierce, strong ... and totally entertaining. The former captain of the U.S. women's soccer team has meant so much more to women in sports than her incredible accomplishments on the pitch. 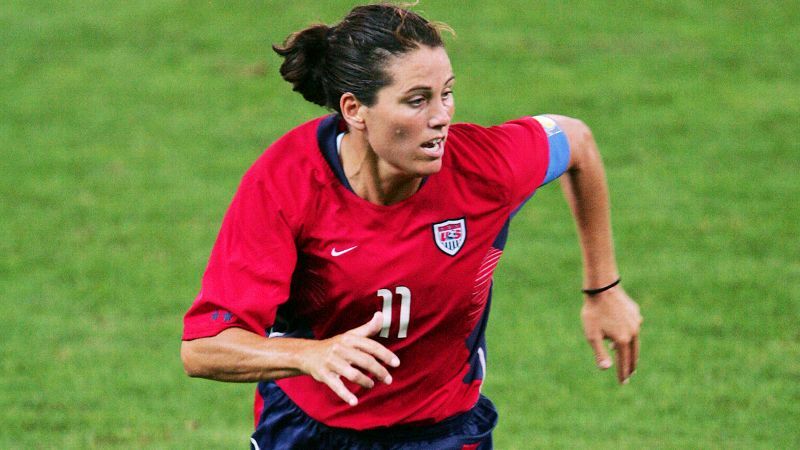 Being part of the 1999 Women's World Cup team is only the start of a legacy that has brought advocacy to women's sports and female athletes, and a recognizable face to sports fans everywhere. It was Foudy, sitting on the Commission on Opportunity in Athletics in 1993, who helped to prevent the gutting of the landmark Title IX legislation that has made life -- and livelihoods -- in sports possible for so many athletes. She and Donna de Varona authored a dissent of the committee's findings that prevented damaging wholesale changes to this defining law of the land. She has served as president of the Women's Sports Foundation and is a founder of the Bay Area Women's Sports Initiative, and her work at ESPN and espnW as an analyst and commentator has made us all see that sports is sports is sports, no matter the gender of the person who plays. It was telling when The Associated Press -- which has been choosing its Male and Female Athletes of the Year since 1931 and navigating the fine distinctions that go with that -- broke tradition and named the entire U.S. women's soccer team its winner in 1999, the same year the team captured the monthlong World Cup in an unforgettable Rose Bowl final before 90,185 people, the largest crowd ever to see a women's sports event. The squad was a collection of extraordinary individuals, it's true. Mia Hamm and Julie Foudy, Kristine Lilly and Michelle Akers, Brandi Chastain and Brianna Scurry were just the headliners. But the ineffable thing that also distinguished them was that this was the first world-class women's team we ever saw that got to grow up and get old together. And it showed in the players' telepathic level of play and the closeness they shared. They not only conquered the world, they had so much damn fun along the way that you kind of envied them. Today, it's easy to forget women's soccer didn't even debut at the Summer Olympics until 1996 (and the U.S. won that, too). Or that the U.S. team's example helped women from Nigeria, Brazil and other places navigate sexism at home to play around the world. That's why merely calling the U.S. women "pioneers" is too mild. They were revolutionaries. I'm nominating not just one athlete but a whole team. Not because no one member was strong enough on her own -- heck, some of 'em don't even need last names (Mia, Brandi, Brianna) -- but because their power was in what they achieved as a team. 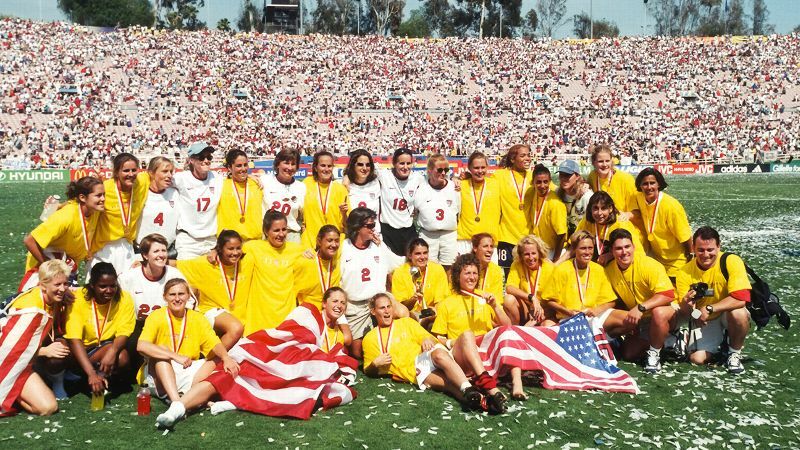 The 1999 U.S. Women's World Cup team won the world's biggest soccer tournament and changed the way women's sporting events were viewed. It created a soccer craze unlike any seen before in the States. The 90,185 fans who showed up to watch the team win it all in Pasadena, California, was the largest crowd ever to witness a women's sporting event. When Arsenio Hall, President Bill Clinton and Jack Nicholson want in on your locker room to get a postgame champagne shower and snag a few high-fives, you've become more than just athletes, you've become cultural icons. The '99ers were sport at its best, the true definition of teamwork (some of them played together for 17 years) and proof that women's sports can captivate the nation. Years later, female athletes and teams still hunger for a bit of that magic.